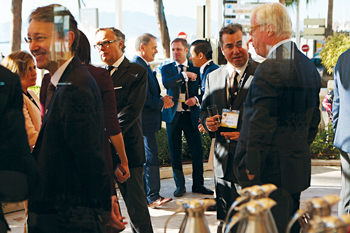 The 14th edition of International Luxury Travel Market (ILTM) in Cannes, France, opened with the Global Forum bringing storytelling to the centre of the stage, highlighting its relevance to both luxury travel brands and agents as they convey their stories to their diverse high net worth clients. The scene was set by Claire Bennett, vice-president, strategic partnerships, American Express Consumer Travel who drew on her strategic role at Amex to talk through the luxury of tomorrow. She focused on three key trends, namely connectivity, personalisation and high-touch service – stressing that the travel industry had to work more towards addressing those top three needs throughout the journey. “The importance of the internet is key for the luxury goods and travel industry – high-end agents understand how essential it is to map out all stages of the traveller’s journey – before, during and after the experience. Mobile technology is also playing an increasingly important role in the personalisation of luxury travel journeys for travellers from all four corners of the world,” said Alison Gilmore, senior exhibition director, ILTM Portfolio. The forum also explored the topic of behavioural economics with Thomas Trautmann, Partner, SalesBrain, as well as an in-depth look into the narrative potential of a company’s content, presented by Robert Mckee, a renowned story telling guru who has worked with top screen writers and actors. The future of luxury travel will be driven by the middle classes from emerging markets, it emerged during this year’s ILTM in Cannes, France. With increasing levels of income and a rapidly growing middle class, luxury travel is expected to experience the highest growth, particularly in the US, Asia Pacific and the Middle East and Africa, said the new luxury travel trends report published by ILTM, in association with Euromonitor. ILTM witnessed 60,000 business generating meetings take place between luxury travel brands and over 1,500 luxury travel agents representing the highest net worth travellers across the globe. During the four-day event, leading hospitality groups announced major international developments, with luxury hotels drawing significant attention to the Middle East and Africa region, which is expected to see growing demand and non-stop investment. Europe will remain a popular destination, with a weaker euro currently providing good value for money for US tourists. In terms of outbound trips, Germany and the UK have ranked as top source markets from Western Europe. Russia, however, is predicted to see minimal growth in outbound trips over 2014-2019 with the MINTS also lagging behind in departures, despite their economic growth, and with incomes remaining too low for many citizens to travel. Worldwide, the report reveals that the number of affluent households is expected to grow between 2015 and 2030. North America will continue to have the wealthiest number of households, but despite the economic slowdown, Asia Pacific is still expected to see the fastest increase, posting a predicted 113 per cent growth between 2015 and 2030. Australasia and North America will follow Asia Pacific, posting growth of 86 per cent and 80per cent in affluent households respectively, between 2015 and 2030. In the lead up to 2020, top hospitality groups are branching out their development strategy to the Middle East, targeting affluent customers in the region. Abu Dhabi, UAE - The first Four Seasons in the Emirati capital, the 200-room Four Seasons Hotel Abu Dhabi will be located at Al Maryah Island and will feature an array of dining option including a retro-modern Chicago steakhouse, a cocktail bar, and a poolside restaurant. The building will also house 124 private and serviced residences. Dubai, UAE – Having entered the UAE with its beachfront resort in Dubai less than a year ago, the group will open its second location in the city next year in the 100 acre downtown business district with the 106-room Four Seasons Hotel Dubai International Financial Centre. The hotel will feature an eighth floor sky bar boasting Burj Khalifa views with a cigar room on the mezzanine as well as a rooftop pool and garden. Kuwait City, Kuwait – The first Four Seasons in Kuwait will be the 263-room Four Seasons Hotel Kuwait at Burj Alshaya in the central business district. The hotel will feature five food and beverage options as well as a spectacular indoor pool in the beautifully designed spa and fitness complex. The Oberoi Group, a global chain of premium five-star hotels, is also venturing into the Middle East with two luxury hotels next year – in Ajman, UAE and Marrakech, Morocco. The Oberoi, Al Zorah, Ajman, located 30 minutes from Dubai airport, is a luxury eco-destination and will house 113 villas, suites and penthouses. The spacious and luxuriously appointed rooms will all have private balconies, while the villas and suites offer terraces and temperature-controlled private pools. Located 20 minutes south of the city centre, The Oberoi, Marrakech is nestled within 25 acres of fragrant citrus orchards and ancient olive groves, offering 77 villas each with a private temperature controlled pool set in the privacy of a beautifully landscaped garden. In addition to the villas, there are six Deluxe Rooms and a Presidential Suite with Private Pool located in the main building of the hotel with its magnificent and opulent Moroccan architecture. Hong Kong-based Mandarin Oriental unveiled plans to develop a second property in the Middle East, with the Mandarin Oriental, Doha set to open in 2016. The hotel, which will be located in the central part of Musheireb, will feature 160 luxurious guestrooms and suites, as well as 95 serviced apartments. The property will also house an all-encompassing Spa, a variety of restaurants and bars and extensive banqueting and meeting facilities. Joining in the Middle East development furore are hotel groups Viceroy and Anantara, with hotels scheduled to open in the Gulf region next year. Viceroy Dubai Palm Jumeirah will offer guests 481 large rooms and suites, and 221 signature Viceroy Residences, as well as spectacular dining venues featuring Hong Kong and Italian cuisines hosted by world-class chefs, a modern spa, a beach club and a 100-m long pool. The property will also offer children’s clubs, entertainment and sporting activities. Thailand’s Anantara resorts is also venturing into the Middle East with an upcoming property in Oman. Anantara Al Jabal Al Akhdar Resort will feature 82 rooms and 33 villas, located in the rocky contours of the vast Saiq Plateau on Oman’s fabled Green Mountain. The resort will also offer three restaurants, two bars, a shisha lounge and an infinity swimming pool with belvedere and much more.